Our Cigar of the Month Club is a veritable no-brainer. Each delivery includes a delicious, monthly variety of aged, premium cigars from the world’s finest regions, crafted by the biggest names and cigar-makers, and personally selected by our knowledgeable and often cigar-snobbish cigar geeks. Macanudo, Romeo y Julieta, Rocky Patel, Cohiba, Gurkha, La Gloria Cubana, Tatuaje….no brand or factory is safe. 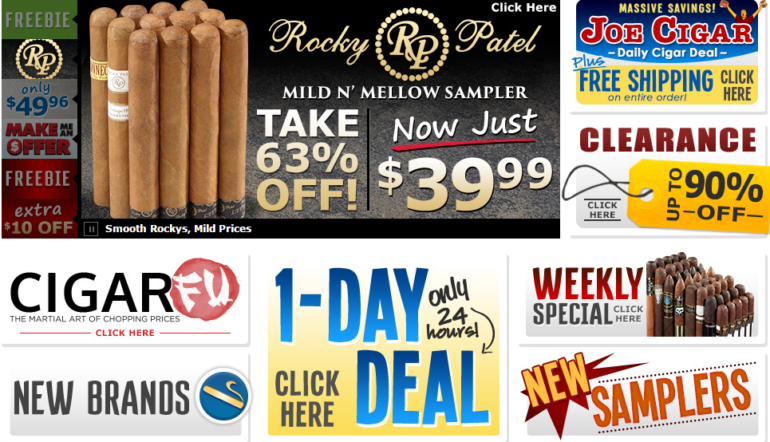 We’ll select from our massive inventory of premium and super-premium cigars. The highly rated, the rare, the small-batch, the latest releases. We’ve got’em all and we’ll feature them for you, month after month. On one hand, this is the cheapest club we’ve found. On the other hand, you only get 4 cigars per month. Perhaps that is ideal if you only smoke one per week though. We’ll definitely be trying this club out. Check back soon for our full cigar of the month club review!